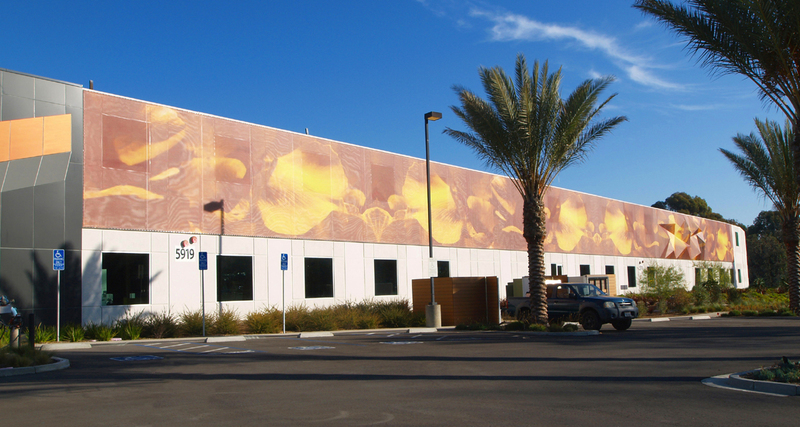 Eide Structures assisted Ware Malcomb (architects) and Cushman & Wakefield with the design-build of a tensioned facade system for the remodeling project at the Regent Atlas CR Sea Otter facility in Carlsbad, California. 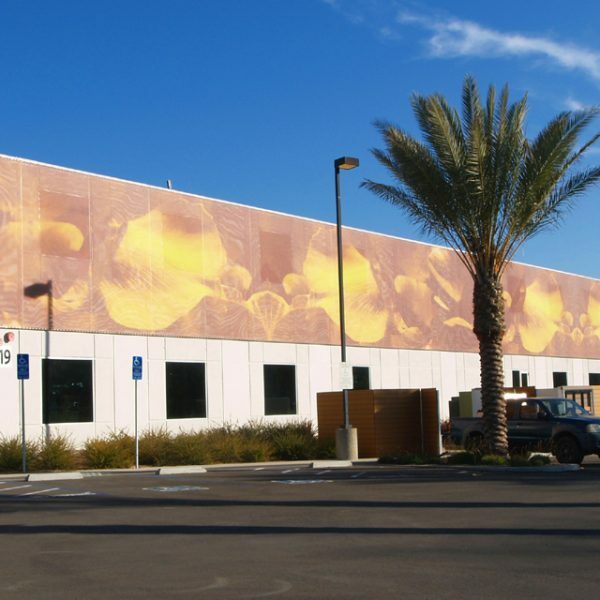 Eide introduced a 286′ wide by 16’6″ high tensile facade system to enhance the curb-appeal of the south-facing concrete wall as preparation for the sale/lease of this 250,000+ square foot building. 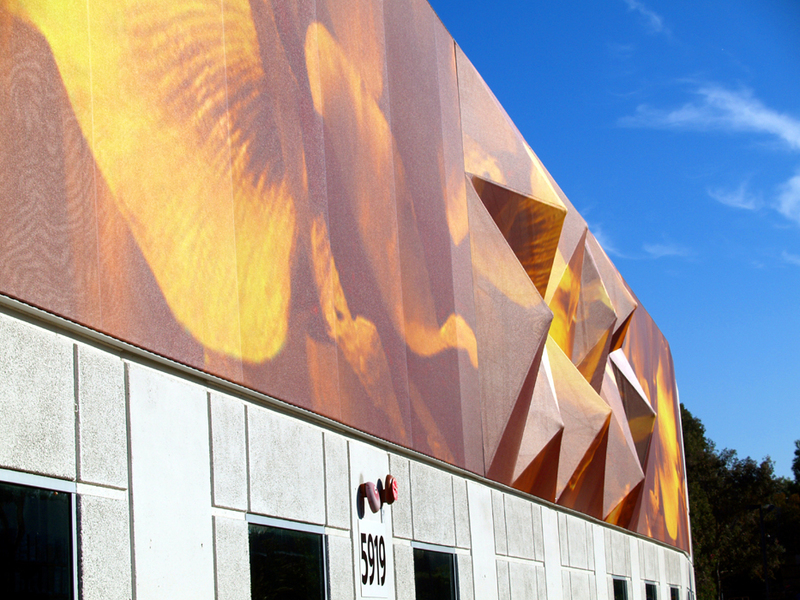 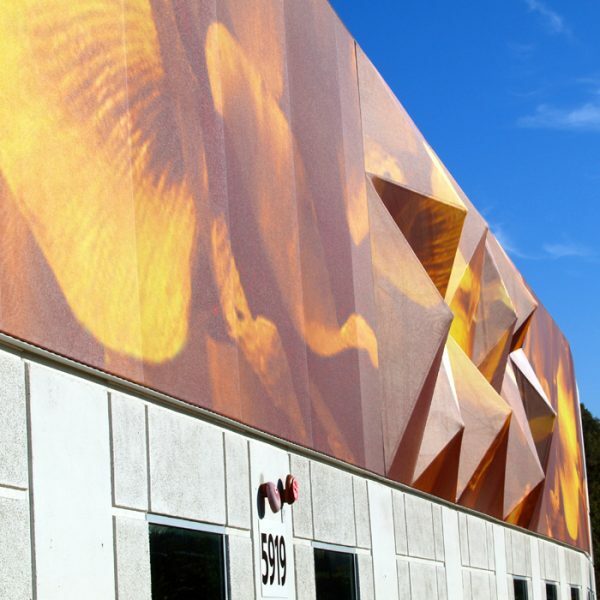 For maintenance purposes, Property Management wanted the textile panels to stand-off from the wall for accessibility to the existing spandrel glass panels. 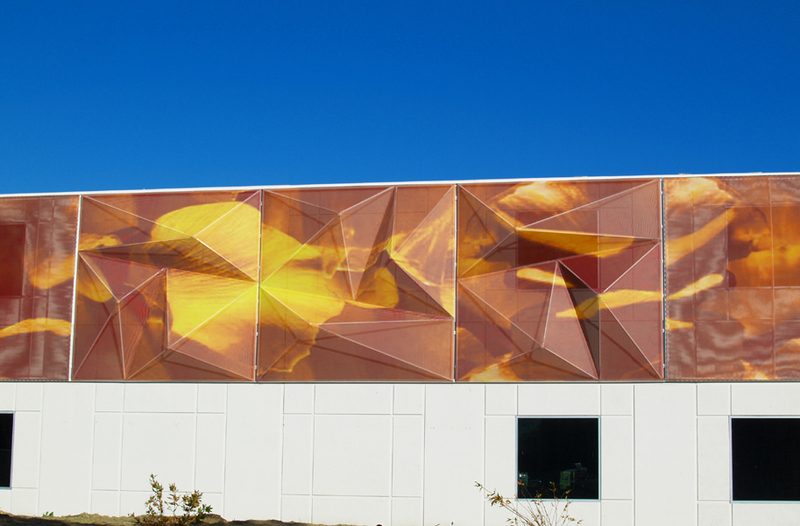 A portion of the facade wall (46′ wide by 16’6″ high) was modified with an artistic 3D peaked frame section to further enhance appearances. 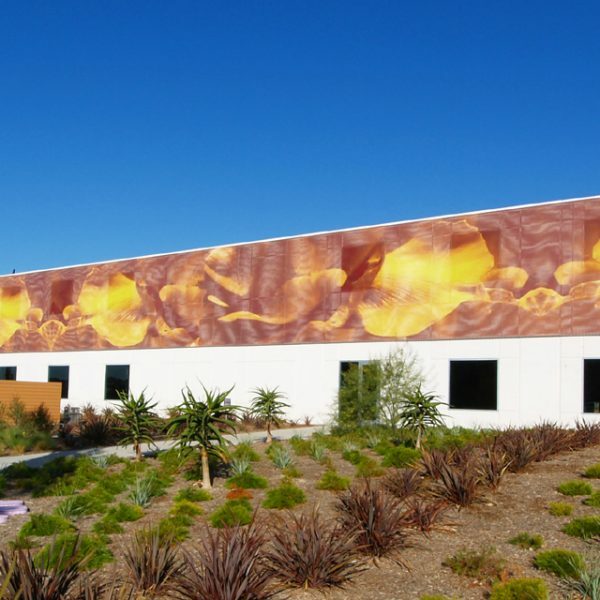 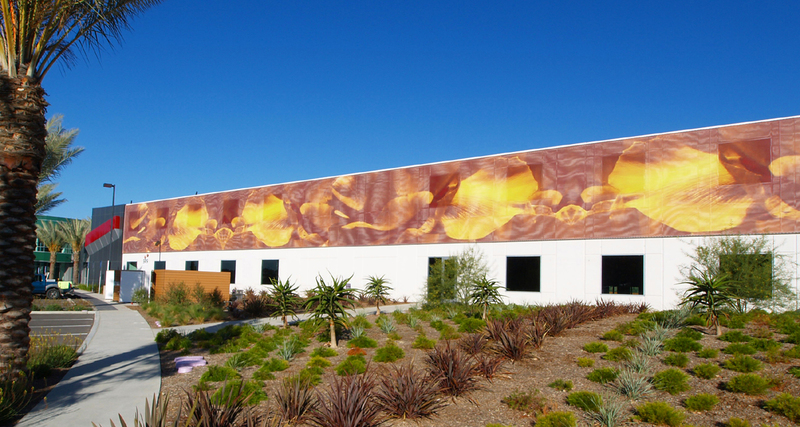 Approximately 4,719 square feet of flame-retardant Serge Ferrari FT 381 Mesh Fabric, with digitally applied floral graphics, spans the entire facid structure. 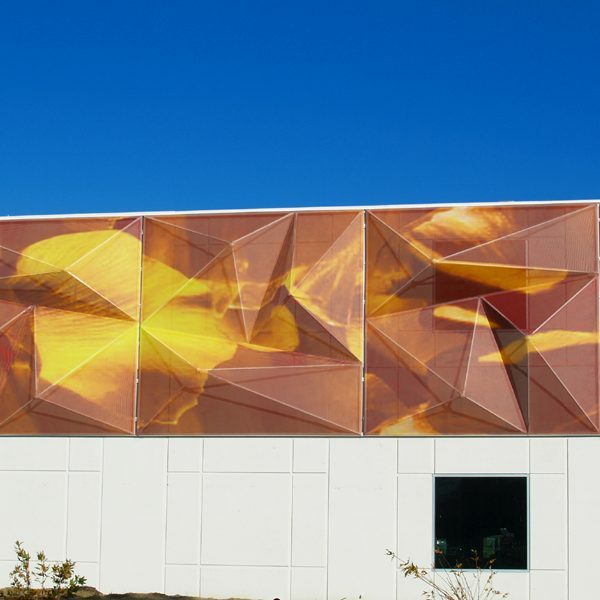 Eide’s Tensile Facade Systems, which is comprised of framed supported flat panels with adjustable receiver brackets, was the ideal solution to allow the flexibility for temporary take-down for maintenance, fabric tensioning and/or complete replacement for new branded renovations.